Its aim is to assist in the total development of a child’s social, emotional intellectual, physical, cultural and spiritual growth, so that the child will be better prepared for life. 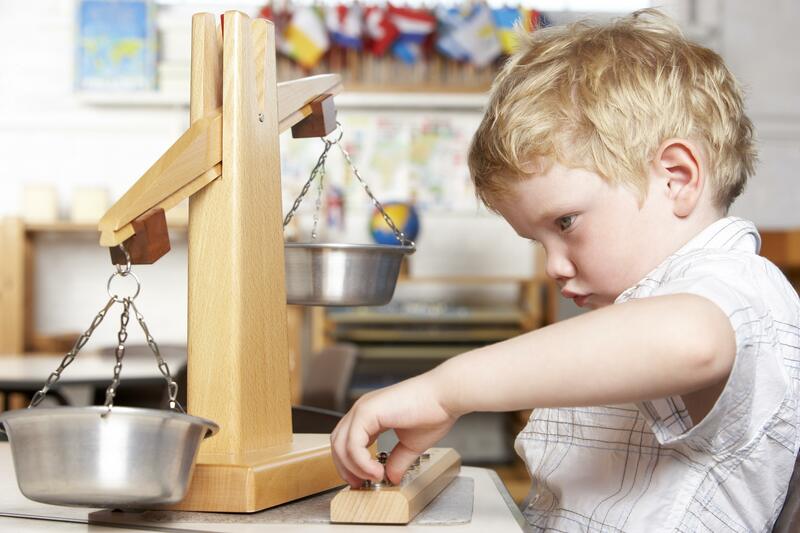 Discovery Montessori School is inspired by the Montessori approach to early childhood education. We use the term “inspired” because we see this Italian approach as an excellent guide rather than a curriculum blueprint. 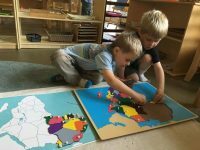 We feel that our values of education, childhood, and community are deeply reflected in the Montessori approach and we hope to use that as a basis for our ever-evolving program. As staff, we are continuously learning with the children, with parents, and with other early childhood educators to gain a deeper understanding of education. 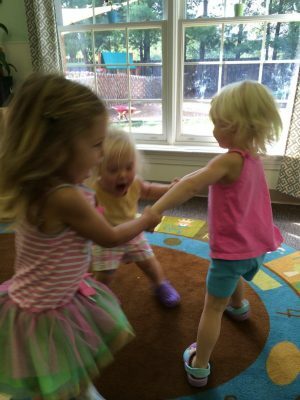 We offer an emergent curriculum that allows for flexibility, spontaneity, and in-depth exploration. It is most often child-directed and teacher-guided. This means that teachers offer provocations to stimulate the learning process, allowing children to investigate their own interests and theories. Through these child-initiated experiences, children learn a variety of concepts and skills that will stay with them throughout their lives. Not only do they develop skills in literacy, art, science, and math, but they also develop the ability to communicate, to collaborate, and to think critically. We believe that children have the right to an educational program that values and nurtures these skills. Emergent Curriculum Learning is child-directed. Rather than teachers choosing an area of investigation and giving the children isolated facts on a given subject, teachers work as researchers alongside the children. They carefully listen to the interests of the children, assisting the children in defining their questions as a place to begin investigations and express their knowledge. 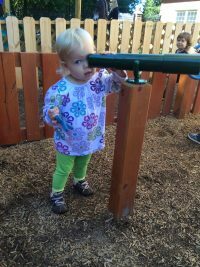 Hands-on, active learning Research shows that children learn best through hands-on, active exploration; by using their whole bodies to dive in to areas of curiosity. We honor this in our program, providing an abundance of specifically designed Montessori learning materials as well as opportunities to learn through meaningful play. The Montessori materials play a significant role in the learning process. These materials are designed to attract the child’s interest while, at the same time, teaching important learning concepts. The importance of the environment, “the environment as the third teacher” The environment is seen as instrumental to a child’s educational experience. The classroom environment is composed thoughtfully and intentionally. Teachers work together to create opportunities for learning throughout the indoor and outdoor environment in addition to providing a safe, comfortable place for children to carry out their investigations. Teachers as researchers Teachers are committed to listening, observing, and documenting children’s work carefully throughout their investigative process. In this capacity, teachers are able to provoke, co-construct, stimulate new thinking, and foster children’s collaboration with each other.